G20 summit is held in Turkey and the Terrorism issue has been on agenda after Terrorist attack on France. Before G20 nations head meet, the BRICS nations heads get together for informal meeting hosted by Russian President Vladimir Putin. PM Modi said "We stand united in strongly condemning the dreadful acts of terrorism in Paris. We express our deepest sympathy and support to Russia for the loss of life in Sinai. Ankara and Beirut are also reminders of terror's growing spread and impact. The entire humanity must stand together as one against terrorism. The need for a united global effort to combat terrorism has never been more urgent. This must also be a priority for BRICS nations." The discussion on New Development Bank or BRICS Bank is also taken place. 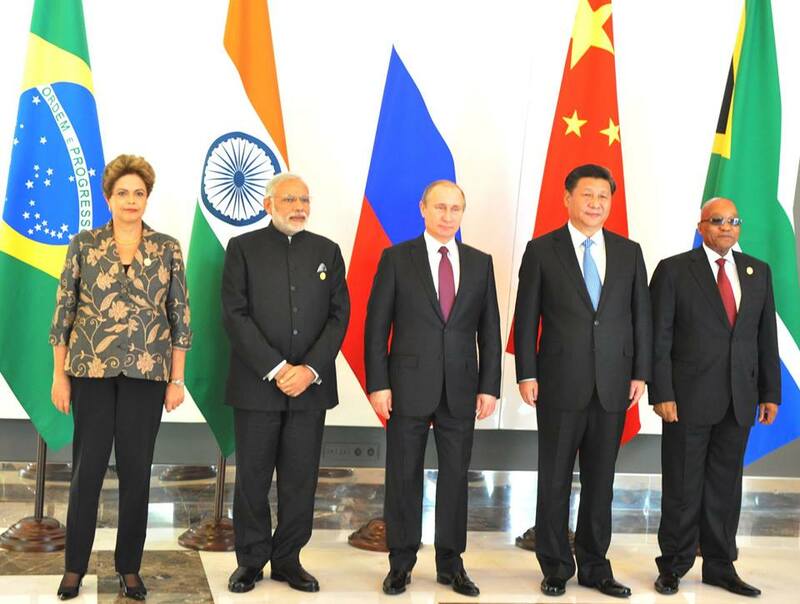 The BRICS bank headquarter will be in Shanghai and President will be appointed by India. The Bank, which the BRICS countries see as an alternative to the World Bank, is to have its capital expanded to $100 billion within the next couple of years. The Bank was agreed upon in a meeting of BRICS in Russian city of Ufa in July. Kundapur Vaman Kamath, 67, a former head of India’s largest private bank, ICICI Bank, has been appointed president of Shanghai-headquartered bank. It plans to issue its first loans, yet to be agreed, in April. India is going to take Chairmanship of BRICS on 1st February, 2016.The theme of India's BRICS Chairmanship will be "Building Responsive, Inclusive and Collective Solutions” which, in short, will be 'BRICS'. It aptly describes the ethos of our group. PM also said "We are pleased that a BRICS partner, China, takes over the Presidency of G20 in December 2015. We assure China of full support during its Presidency." Comments "PM Modi speech at Informal meeting of BRICS head in Turkey"